PHILADELPHIA – May 12, 2014– Continuing its commitment to promoting growth and innovation in Philadelphia’s cultural community, the John S. and James L. Knight Foundation tonight awarded $780,000 to 19 Philadelphia artists and arts groups. The new funding builds on the success of Knight Foundation’s three-year Knight Arts Challenge, which awarded funds to 114 ideas for the city’s arts scene from 2011-2013. Exciting artistic collaborations, such as the Bearded Ladies Cabaret’s pop-up opera based on the life of Andy Warhol and in partnership with Opera Philadelphia, and BalletX’s initiative to pair choreographers and composers in the creation of new works. The full list of grant recipients and their funded projects is included below and at www.knightarts.org. 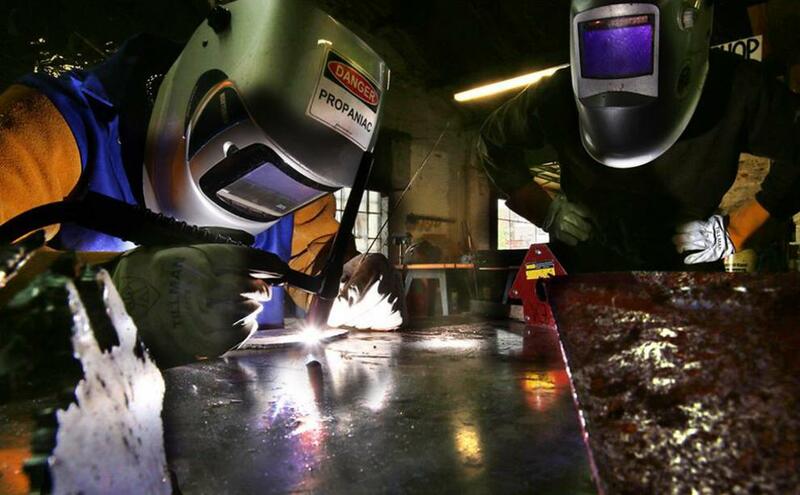 “Our city has a wealth of creative thinkers, makers and energetic doers. As we work with these grantees to take initiatives to the next level, we see the impact their work is having on Philadelphia’s communities,” said Donna Frisby-Greenwood, Philadelphia program director for Knight Foundation. Knight Foundation, which has invested more than $100 million in Philadelphia’s vitality since 1970, will continue to support the city’s vibrant arts scene through its year-round, community arts grant-making program. The African American Museum in Philadelphia ($50,000) To explore connections between African-American culture and the culinary arts in “Beyond Sustenance,” a series of programs in conjunction with the art exhibits, “Distant Echoes: Black Farmers in America” and “Syd Carpenter: More Places of Our Own.” In collaboration with First Person Arts and the Center for Culinary Enterprises, the programming will highlight the far-reaching cultural tradition of culinary arts and agriculture and encourage guests to share their personal experiences. Al-Bustan Seeds of Culture ($10,000) To bring together the city’s Spanish and Arab-speaking communities by presenting an evening of poetry and music inspired by Spanish poet and playwright Federico Garcia Lorca. Part of the group’s Arab Music Concert series, which took place last fall, the event featured two acclaimed Arab artists who have been inspired by Garcia Lorca’s work: Tunisian vocalist Sonia M’barek and Palestinian poet Nathalie Handal. BalletX ($50,000) To support innovations in dance and engage new audiences with two new programmatic additions. For the summers of 2014 and 2015, BalletX will launch a new initiative that pairs choreographers and composers in the creation of new works with live music. This initiative will kick off in 2014 with “Sunset, o639 Hours,” a world premiere ballet by BalletX Co-Artistic Director Matthew Neenan, featuring an original composition by Philadelphia-based composer Rosie Langabeer. In the fall of 2013, BalletX also commissioned new work from renowned choreographers Gabrielle Lamb and Adam Barruch. Bearded Ladies Cabaret ($75,000) To develop and produce “Andy: A Popera” – an interactive, pop-up opera inspired by the life and legacy of Andy Warhol. As the piece is designed over the coming year, the cabaret will stage a series of pop-up performances in everyday places, such as stores and parks, to engage more Philadelphians in the arts. The group will also partner with Opera Philadelphia, which will provide an opera chorus for the show’s run at The Wilma Theater in July 2014. Chemical Heritage Foundation ($60,000) To explore the relationship between urban life and public health through a 2013 public art project called “Particle Falls” in Center City Philadelphia. Created by digital media artist Andrea Polli, the piece consisted of a 60-foot video projection, on the facade of The Wilma Theater, of real-time air quality data that dramatically visualized the largely unseen matter existing in polluted air. Creative Capital Foundation ($20,000) To further develop the skills of Spanish-speaking artists with professional development training through a specialized workshop. The program will provide an intensive introduction to strategic planning, fundraising and promotion for working artists. Filadelfia Latin American Film Festival ($25,000) To showcase the works of Latin American and Latino filmmakers at the third annual Filadelfia Latin American Film Festival, which took place in April. Founded in 2012, the festival provides a new space in the Philadelphia region where filmmakers, actors and producers can meet with other artists, engage with audiences and present and discuss innovative work. Fund for Philadelphia ($14,000) To elevate the role and public discourse of poetry and language in Philadelphia by supporting a poet laureate for the city. The poet creates works for city events, participates in readings at the Free Library of Philadelphia and helps select and mentor a youth poet laureate. The city’s second poet laureate, Frank Sherlock, was named to a two-year term in January. Mann Center for the Performing Arts($75,000) To celebrate the legacy of a civil rights icon by presenting the “Gospel Meets Symphony,” concert on July 19, which will close the Philadelphia Freedom Festival. The festival is a six-month project, linking the arts and civil rights history inspired by the story of Philadelphia’s 19th-century African-American civil rights pioneer Octavius Catto. It also commemorates the 50th anniversary of the passage of the Civil Rights Act. Mighty Writers ($75,000) To engage Latino youth in creative expression by expanding their award-winning after-school writing program that serves 2,000 Philadelphia students annually into a new center in the city’s Italian Market neighborhood. In an effort to engage the Latino community, Mighty Writers has collaborated with award-winning Mexican-American artist Nora Litz and local non-profit Puentes de Salud to design and launch a successful bilingual writing program. Now, Mighty Writers will develop a robust roster of literacy programs that when launched will serve at least 150 Mexican-American grade students in grade 2-12 in its first year. Philadelphia Gay Men’s Chorus ($15,000) To build stronger, more welcoming communities by supporting the presentation of “When I Knew,” a concert series of contemporary music and Broadway standards that shares stories from Philadelphia’s LGBT community with area high school students. The stories will recount moments when community members became aware of their sexual orientation and will be accompanied by post-concert discussions. In-school concerts and public performances will use music to challenge homophobia and negative stereotypes among local youth. 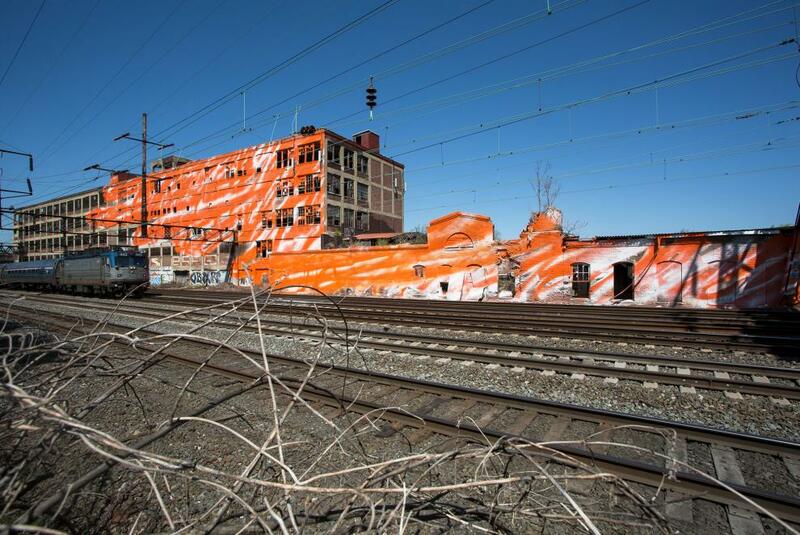 Philadelphia Mural Arts Advocates ($50,000) To engage nearly 34,000 daily public transit riders in a work of public art and transform one of Philadelphia’s major transportation thoroughfares by commissioning a large-scale, site-specific installation by renowned German artist Katharina Grosse. The work will unfold in a series of seven passages – from vast, dramatic warehouse walls to small buildings and stretches of green spaces – meant to be framed through the windows of the moving train, creating a real-time landscape painting that explores shifting scale, perspective and the passage of time. Philadelphia Parks and Recreation ($25,000) To cultivate the next generation of artists and audiences by including a performing arts curriculum in Philadelphia Parks and Recreation’s after-school engagement program, REACH. During the two-month program, participants will have the opportunity to both attend a professional performance and perform themselves. Philadelphia Sculpture Gym ($25,000) To further develop the skills of local sculptors by offering artist-run classes and workshops. Launched with Knight funding, the Sculpture Gym offers members access to tools and workspaces, plus exhibition space. This new series will provide additional income to the artists offering the courses while providing others the opportunity to expand their skill set and exchange ideas. Philly Youth Poetry Movement ($10,000) To expand the skills and worldviews of young Philly poets by helping them represent the city in the largest spoken word event in the world. While there, the students will attend workshops and performances by renowned poets, authors and musicians as well as compete with teams from around the globe. Sean Stoops ($27,000) To engage public transit commuters and activate underground tunnels as spaces for public art by creating a series of installations along the subway walls underneath Center City. Artist Sean Stoops will invite other artists to contribute ideas for “subway zoetropes,” a set of large static images mounted in sequence that function in the same way as a flipbook, with the speed of the passing train creating the illusion of a moving image. Sundance Institute ($100,000) To continue to build Philadelphia’s film community by providing creators the opportunity to participate locally in Sundance Institute workshops, and to become Knight Fellows at the annual film festival in Park City, Utah. In Philadelphia, Sundance has recently presented workshops for screenwriters and short filmmakers. In addition, the two Knight Fellows met with industry executives and attended workshops as part of the 2014 Sundance Film Festival. TheArtblog ($50,000) To explore the artist’s role and responsibility to enrich and engage their community via an undergraduate course and community art project. Through the course, students from seven local art colleges will meet with teens at the Village of Arts and Humanities and research and discuss socially responsible art projects, debate strategies and new approaches, and create and execute a project at the Village. The Clay Studio ($25,000) To bring innovative and meaningful art experiences to the community by supporting a 40-hour open house celebration featuring a marathon of ceramic arts and clay workshops. Commemorating the studio’s 40th anniversary, the effort will include wheel throwing demonstrations, claymation presentations and the commissioning of 200 custom coffee mugs, made by 20 artists for a reprise of the studio’s Guerilla Mug Assault coffee mug giveaway. For continuous updates on Knight Foundation’s arts program, connect on Facebook here and via @KnightArts on Twitter.